← TOP TEN things you need to do before the ILT2014 Conference! Only 14 days to go now folks! 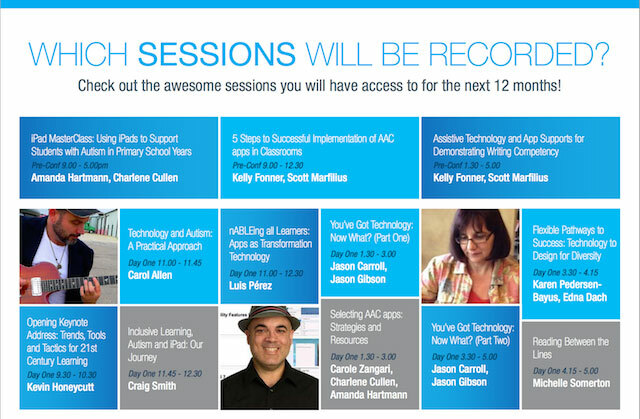 Just two short weeks until the Inclusive Learning Technologies Conference 2014 kicks off on 20th May on Queensland's Gold Coast! If you have registered already, last week we sent you an overview of the TOP TEN things you should think about doing to be sure you get the MOST out of your conference experience. I've copied it in again at the end of today's newsletter for you as a reminder in case you have flagged it to look at a bit closer to the conference. With only two weeks to go, it's time to be getting all your conference ducks in a row! If you haven't yet registered, YES there are still places left! We can fit you in and warmly welcome you joining our vibrant and enthusiastic #ILT2014 Conference community. More of your Featured Presenters | Today meet Scott Marfilius and Kelly Fonner returning as presenters AND delegates this year! Today, meet two of our talented regular presenters at the Inclusive Learning Technologies Conferences – going way back to the very first conference in 2004. Kelly Fonner and Scott Marfilius are heading over to join us again from the US. BUT … this time they are attending as delegates at the conference, in addition to generously sharing their learning from the assistive technologies scene in the US. They are also members of the QIAT (Quality Indicators for Assistive Technology) Leadership team. So if you subscribe to the popular QIAT Listserve, watch out for a notification about a catch up over one lunchtime to put faces to listserve names, or to follow up from your meeting at the ILT2012 Conference. Learn more about Kelly Fonner here. Learn more about Scott Marfilius here. Kelly and Scott's presentations, 5 Steps to Successful Implementation of AAC apps in Classrooms and Assistive Technology and App Supports for Demonstrating Writing Competency have been so popular with delegates selecting their sessions, we will be filming both these presentations in full to be offered to people who sign up for our NEW Virtual Registration option. A personal note to you all just in from Kelly. "I am excited to be able to book into sessions as a delegate this year. I was anxiously awaiting the time that the program went live on the Internet to see what the offerings were from all the terrific presenters. In the past, I haven't been able to attend as a delegate – this time I can't wait to learn at the premier inclusive learning technology event! Scott and I are pulling together all of our newest information to bring to our conference presentations and we are really charged to be able to present our augmentative communication strategies that we have been using with our classroom teams that we are now applying to implementing with students who are using AAC apps within school settings. And of course, we are saving up energy for the Black and Gold Dinner and Dance. We plan to be out there with those who are the first on the floor!" Which ILT2014 Conference presentations are being recorded for the Virtual Registrations? An ILT2014 Conference Virtual Registration means that even if you can’t be there in person, you can still be a part of all of the most popular sessions presented at the conference! All to be available to you a week after the ILT2014 Conference is over. And viewable for a full 12 months afterwards. Even if you are at the conference in person, adding on a Virtual Registration gives you access to these awesome resources supporting a full year of presentations and collaborative IT strategy planning on your return-to-base. As promised … the 25 presentations (40 full hours of video) chosen for inclusion as part of the #ILT2014 Conference Virtual Registration experience are now up online! Just visit the Conference Virtual Registration Page to see them all listed … or check out the ILT2014 Conference Program page and select the cool little Virtual Registrations checkbox to see them light up in blue! Sign up for a Virtual Registration! Join five of our Google-savvy ILT2014 Conference presenters in their "Getting Ready for the ILT2014 Conference Google Hangout" scheduled for Tuesday 13th May at 8.00 pm AEST (Australian Eastern Standard Time). Learn about the Google-related topics to be covered during their sessions within the conference program. Listen as they share their thoughts re the positives and negatives of the growing number of assistive technology supports via Google apps and Chrome extensions for students with diverse learning needs. Ask questions for live answers from the panel too! If you are not able to join in live, you can check out the recording of the Hangout here on Spectronics' YouTube Channel after the Hangout is complete. And if you just want to get your head around how the Google Hangout thing works, read the "Connecting with others via video conferencing: Google Hangouts and the alternatives" Spectronics Blog post by Greg O'Connor who will be heading up the ILT2014 Google Hangout. You’ve registered. You’re excited! Here are the TOP TEN things you need to do before the conference to get the MOST out of being there! Select your preferred sessions within the program or make changes before Thursday 15th May. If you need the instructions on how to do this resent to you, contact us on conference@spectronicsinoz.com or phone Spectronics' Brisbane office on (07) 3808 6833. Check out the sessions being recorded for the Virtual Registrations. This may influence your choice of sessions, or prompt you to sign up for a Virtual Registration. Download the ILT2014 Conference app! It's a great way of carrying the conference around with you in your pocket. And watch this helpful series of short videos on using the app put together by Amanda from the Spectronics Consultancy Team. Attending any BYO iPad or BYO Laptop sessions during the conference? Make sure you check out if there are any recommended apps that need to be installed before you arrive. Just read the session description to find this info. Join the ILT Conference Facebook Group. Please do! It's going to be one of the central places for chat during the conference, with the conversation building already. You'll hear any important news first there too! Sign up for Twitter to be ready to give it a go onsite. Start by following the conference at @ILT2014 and watching the #ILT2014 hashtag conversation thread building already. Join five of our Google-savvy presenters in our "Getting Ready for the ILT2014 Conference Google Hangout" scheduled for Tuesday 13th May at 8.00 pm AEST (Australian Eastern Standard Time). If you miss it, you can also check out the recording of the Hangout here on Spectronics' YouTube Channel. 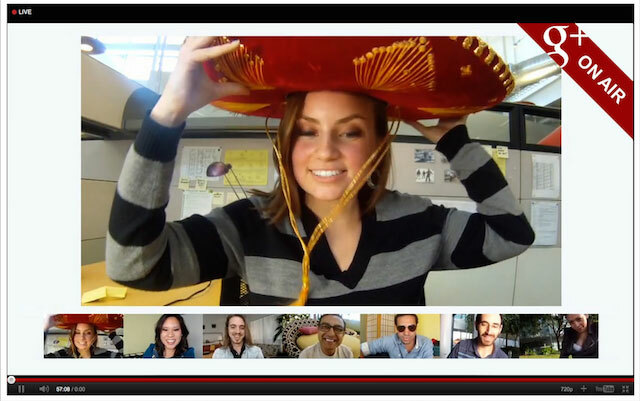 And if you just want to get your head around how the Google Hangout works, read the "Connecting with others via video conferencing: Google Hangouts and the alternatives" Spectronics Blog post by Greg O’Connor who will be heading up the ILT2014 Google Hangout. Enter the competitions! Both the AbleNet iPad Accessibility Bundle Competition and the Texthelp Literacy Bundle Competition will be closing before the conference this time to allow more time for judging the most worthy winner. Closing date for entries is Wednesday 21st May. Not long to go! Have you booked your accommodation? Some rooms are still available onsite at Jupiters Hotel, our conference venue, and we recommend that you book using our discounted accommodation rate booking instructions. Starting from $199 per night wtih the option to share a twin room available too. Finally, if you are joining us for the gala Conference Dinner, we are running with a bit of a Black and Gold theme. But really, wear whatever you want so long as you are Dressed to Dance! 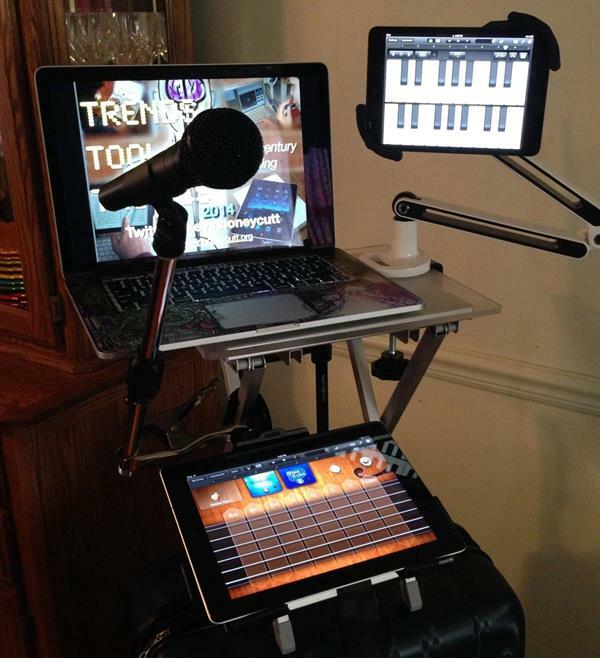 Music in and around the ILT2014 Conference! BYO instruments! Oh, just remembered to tell you that the Blues on Broadbeach Music Festival will be happening again during the closing days of the conference. Both inside Jupiters Hotel, and around the Broadbeach foreshore a short walk away. But we also will be having a bit of our own music festival, courtesy of having Kevin Honeycutt onsite with us. Seriously, anyone who travels with this awesome mobile musical podium kit is not going to have a musical instrument out of his hand for too long! So, if you have room, why not pack your guitar or other musical instruments. Kevin Honeycutt will be in the house and ready to jam after hours! Bas Tijdhof from Link-AT Assistive Technology and Lee Blemings from Sensory Guru will be bringing their guitars again. Both of ILT2012 Battle of the Bands fame! And the Beamz will be making an appearance on stage and in jam sessions too driven by professional drummer Christian Spaul from the Beamz team from the UK. This could be fun! PS Don't forget that entries are now open for two awesome competitions from our Gold Sponsors Texthelp and AbleNet. A Texthelp Literacy Support Bundle of a Chromebook, software and Google Extension bundle valued at $11,669! And an AbleNet iPad Accessibility Bundle of a top-of-the-range iPad Air and a selection of new AbleNet technologies that make the iPad accessible to switch users – valued at $4000! To be in the running to win, you need to be registered to attend the conference and able to attend the Conference Closing Session on Friday 23rd May to collect your prize if you are the lucky winner! Entries close Wednesday 21st May, to give us time to carefully consider all entries before the busy conference days kick off. Good luck! Enter the Texthelp Literacy Bundle Competition here. 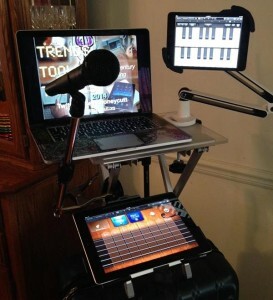 Enter the AbleNet iPad Accessibility Bundle Competition here.